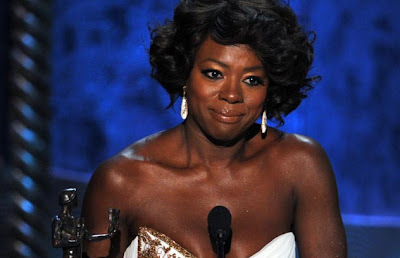 Congratulations to Viola Davis for winning Best Actress for “The Help“ at the Screen Actors Guild (SAG) awards last night. When will you definitely know that your dreams will not come true? When you stop believing and acting on them. It’s Monday, get moving! Didn’t watch last night but I’m so happy she won. We’re going to live the lives we want, Helen! Thank you for sharing this Helen. I didn’t catch it last night – she is such an amazing actor. I love her words 🙂 I will be dreaming big and fierce. Lovely, I can’t wait to see Latinas winning for not playing stereotypes on all of these award shows. Hi Letty! Me too. Part of that change starts with us. The more we continue to object/boycott and make the networks & advertisers realize we don’t want to see that, the closer we get to change. You have to hit them where it matters to them, in their pockets.